1. 98% of the people performing the most popular exercise in the gym (the bench press) have got it all wrong and are destined for a progress-halting plateau or even long term shoulder pain. I am dead serious here. Having trained at hundreds of commercial gyms around the world I almost never see anyone that is using correct technique or form when performing the king of all upper body exercises. Unless you’ve had the opportunity to train at sports performance centers or underground barbell clubs like I have, there just aren’t that many people that “get it” and are willing to help you out so that you don’t miss out on hard earned strength and muscle that you’re training so hard for. 2. If you are one of the very few that has actually mastered the technique (which doesn’t have to be hard) you still have to be able to design bench press specialization programs with a concentration in powerbuilding that combines both strength and hypertrophy training. Basically when you want to train for strength and size it can be a gamble, “hoping” you’re doing the right assistance exercises, training often enough, and performing the right number of sets and reps. Not to mention you have to pay close attention to your tempo and rest periods. As you can see, there’s a lot of variables involved in getting it right. You can see that even if you have your form down you’ve still got to get your hands on a workout that builds muscle in your entire body, helps you cultivate a powerful bench press and simultaneously develop slabs of rock solid muscle on your upper body. And that is exactly what I’ve done for you, and..
What you’re about to find is a collection of my personal favorites of the very best bench pressing routines for exploding your chest. 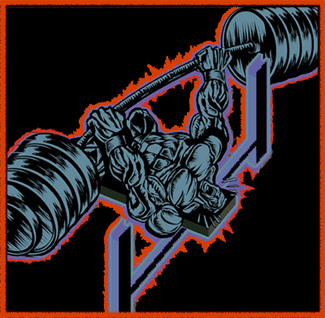 The bench press done in a supine position on a flat bench, is considered by many powerbuilders to be the monarch of all upper body exercises, much like the barbell back squat is to the thighs and glutes. Because the bench press has long been counted among the most important muscle and strength-building compound exercises, it is only natural that all powerbuilders want to develop a respectable bench press weight. However, building shapely armor-plated muscles in the chest is just as important as the weight you bench. The problem as I see it is addressing how powerbuilders can simultaneously achieve big numbers in their bench press weight and still develop sculptured, striated pecs in a minimal amount of time. That is the challenge I strive to address with this book. It this eBook not only do I show you how to perfect your form in an easy to understand step-by-step manner but you also get access to the very best 18 bench press specialization programs of all time. It has taken over five years to create this masterpiece but I didn’t do it alone. I’ve had the honor of picking the brains of some of the most powerful men in existence and now I’m sharing their secrets with you in the NEW…..
$19.95 puts this report within reach of the vast majority of people. It’s not too expensive for even the humblest beginner. Anyone who is not serious enough to put down the price of a pizza and buy this report to get access to 18 of the best bench press routines ever assembled, I really can’t even understand. The new Bench Press Explosion is actually my bribe to you so that you’ll try out the new “Critical Bench Vault” which is the premier PowerBuilding community dedicated to getting you bigger, stronger AND leaner! You’ll get a 14-day trial to scope things out and experience the unique content for yourself. Here’s just some of what you’ll get with your Critical Bench Vault insider’s access. If you’re anything like me, following the same program for 4, 5 or 6-months straight is at best, tedious and boring. In fact, for me 30-days is the sweet spot or perfect length for a routine before I’m ready to move on to something different. The exclusive members-only private forum gives you direct access to me and my team of trainers and pros. The forum is a place where guys like you and I that are determined to achieving our goals can share ideas and keep each other accountable. Perfect your technique on the most productive exercises with new, never before seen tricks and tips to explode your gains. Post your own videos and have them critiqued by me and other fitness pros. Instantly download interviews with me and other muscle and strength experts. Listen to them online or download them to your iPod on the way to the gym. We’ll also be doing periodic coaching calls where you get to ask your most burning questions and get a personalized solution from people that are “usually” unreachable. Just The Tip Of The Ice Berg! Not only will you get the chance to purchase other products for half off but you’ll also get discounts and coupon codes from sites where you’re probably already shopping. 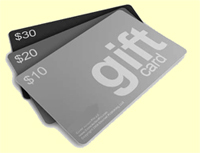 Easily pay your monthly membership with this savings alone. As you probably know I’m always learning and traveling to meet with experts and attend seminars. If you’d rather save money by staying home I’ll make my notes from these closed door events accessible to you as well. I got your back! If for any reason you think this report isn’t the best $19.95 you’ve ever spent just send me an email and I’ll gladly refund your entire $19.95. 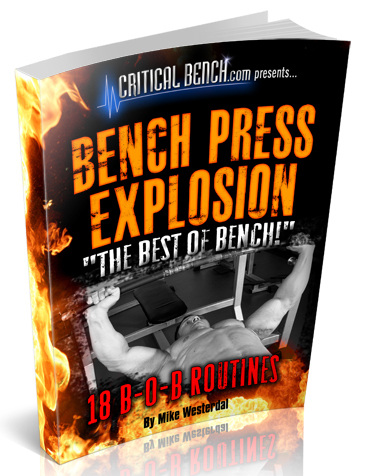 Your initial purchase of $7 includes the Bench Press Explosion eBook and a 14-Day Trial to the Critical Bench Vault site. After your first 14-days you’ll pay the regular low monthly rate of just $19.95. Even if the membership rate goes up, you’re grandfathered in at this low charter rate so you’ll never have to worry about price increases. If within 14 days you decide that The Critical Bench Vault content doesn’t do it for you, then just cancel and you’ll never be charged another dime. It’s really just as simple as sending an email to cancel your membership and it will be handled right away, no hassles. And you can keep everything you downloaded. How is that for fair? No risk, No hassles. If you’re serious about increasing your bench press and building a shirt ripping chest this year, you need to start TODAY by clicking the “Add to Cart” button below. If you need to justify the expense, skip going out to eat just once this week and it’s paid for. You are now about to venture into a dynamic cyber literary realm of the most complete compendium and collection of information ever assembled on the world’s most famous muscle and strength building exercise…the Bench Press. If you believe what you are reading and trust me as your instructor…I swear to you by all the greatest strength champions I have ever known…and perhaps ever lived. That ‘YOU’ my friend will become one of the strongest individuals to walk the earth. And it is more than possible that you may be one of the elite humans to Bench Press 400 pounds, or some like poundage that can only boggle your imagination at this time. So join me now…as I, using my knowledge, and the accumulated successful training experience systems of the world’s strongest champions… Yes, join me, and let me instruct you here with BENCH PRESS EXPLOSION! …to smash the strength barriers to your training success. P.S. If you’re not a good bencher right now that’s even more of a reason why you should pick up a copy today. It’s natural to focus on what we’re good at and avoid what we struggle with, but the bench press doesn’t have to be something that frustrates you. Let me help you improve your form and give you some proven bench routines so that you don’t have to make excuses about the bench press ever again. Q: Do I need any special powerlifting equipment? A: Nope, these programs do not use any fancy training aides. All you need is access to a bench, a bar and lots of plates 🙂 These routines all for raw lifting and do not require shirts or suits. A: You can do the Bench Explosion Workouts at home with minimal equipment or at any commercial gym. A: There are 18 wold class routines so if you don’t like one try the next one. If for any reason you’re not happy you’ll get a full refund, no questions asked. 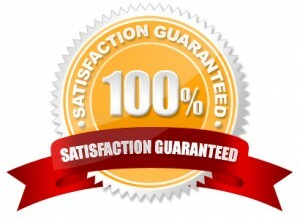 I stand behind this product 110% and have no problem offering a money back guarantee. Q: I want to start training these Bench Explosion workouts right now. Do I have to wait for the booklet to come in the mail? A: You don’t have to wait, you can have access in just a few moments. 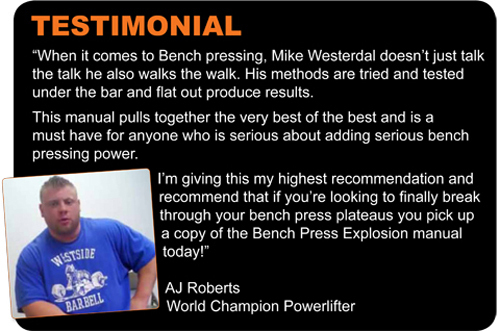 Bench Press Explosion is a digital product so don’t worry about shipping fees or delaying results. Q: This sounds like exactly what I need, but I want to take a peak inside. Can you show me a preview? A: Sure, not a problem. Here’s a screen shot of the table of contents. See you on the next page. Q: Mike, what makes you qualified to select the bench press routines out there? A: I’m a personal trainer, strength coach, founder of the world’s largest bench press site, I have written the best selling Critical Bench Program, been published on Amazon and magazines around the world and I’ve spoken with, trained with and interviewed hundreds of the world’s strongest men. Plus I”m no slouch myself having bench pressed 630 lbs in competition with gear and hit gym lifts of 452 lbs and repped out with 405 for 5 and 315 for 15. I’m not a gifted genetic freak either. I have scratched and clawed for every pound. When I was 15 years old I couldn’t even bench press 100 lbs so no matter where you’re starting from I can help you. Q: You keep referring to powerbuilders. What is a powerbuilder? A: A powerbuilder is someone who trains to get strong but also wants to look ripped and jacked. In essence it’s a hybrid lifter that is strong like a powerlifter but looks good like a bodybuilder. Note that a powerbuilder does NOT have to compete to enjoy the training style. The Critical Bench Vault is where powerbuilders hang out to improve themselves. 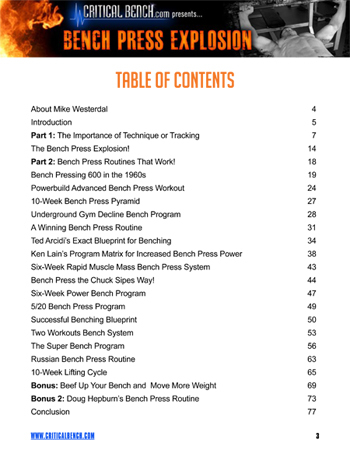 NOTE: “The Bench Press Explosion” eReport published by Critical Bench is a completely downloadable pdf file. No physical products will be shipped. After you order, you’ll get INSTANT ACCESS to download all product components onto your computer. The format for all manuals, workbooks, checklists, etc, is adobe acrobat PDF and MP4, which can be viewed on Mac or PC. Individual results may vary and just because you buy this program does not mean that it will work as good for you as did for Mike Westerdal or AJ Roberts or any of the lifters that created the routines. Like all things in life you’ll get out of it what you put into it so if you just buy this and never workout you’re not going to increase your bench press.